A small-sized adult female crash test dummy is placed in the driver’s seat and is secured with a seat belt. The test vehicle, angled at 75 degrees, is then pulled sideways at 20 mph (32km/h) into a 25-cm diameter pole at the driver’s seating location. This test mimics a side impact crash involving a narrow, fixed object like a utility pole or tree. 1 star is the lowest rating; 5 stars is the highest. More stars equal safer cars. 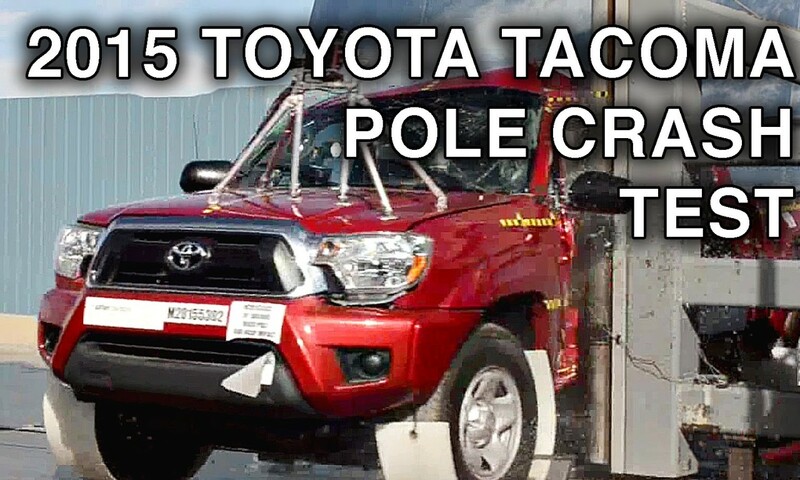 Posted On September 17, 2015 in Tacoma, Toyota with 0 Comments.Tagged: crash, Crash Test, Double Cab, NCAP, NHTSA, Pickup Truck (Automotive Class), PreRunner, test, Toyota, Toyota Tacoma, Toyota Tacoma (Automobile Model), truck.